Michael concentrates his practice on the defense of small and large companies involved in complex litigation in the areas of products liability, toxic tort and environmental litigation. He oversees all phases of litigation, including conducting discovery, investigation and analysis of evidence, research and preparation of motions, deposing and defending fact and expert witnesses, and preparing for and participating at trial. Michael tailors his development and implementation of defense strategies to meet the specific needs of each client. Michael's reputation and advocacy for his clients have led to the successful defense and resolution of a variety of cases. A native of Harrisburg, Illinois, Michael joined Heyl Royster in 2015. 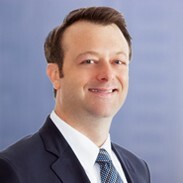 He began his career at a mid-sized Illinois firm focusing on the defense of premises owners and various manufacturers against claims involving toxic exposures and product liability actions. Michael then worked for a national law firm where he led a team of individuals representing a former major manufacturer of boilers who had been named in asbestos litigation. He coordinated its defense across numerous jurisdictions, including in state and federal courts in Illinois and Missouri, while helping to expand and oversee its litigation strategy. In addition, Michael has experience in the defense of numerous other types of products in the area of toxic torts, including HVAC equipment, automotive products, building materials, pumps, and valves. O’Connell v. Bondex International, Inc., et al.